The importance and function of flashing for a roof need to be understood and acknowledged to ensure that it serves the purpose. If you end up showing negligence or carelessness during the installation of flashing, it might cause significant damages to your roof. 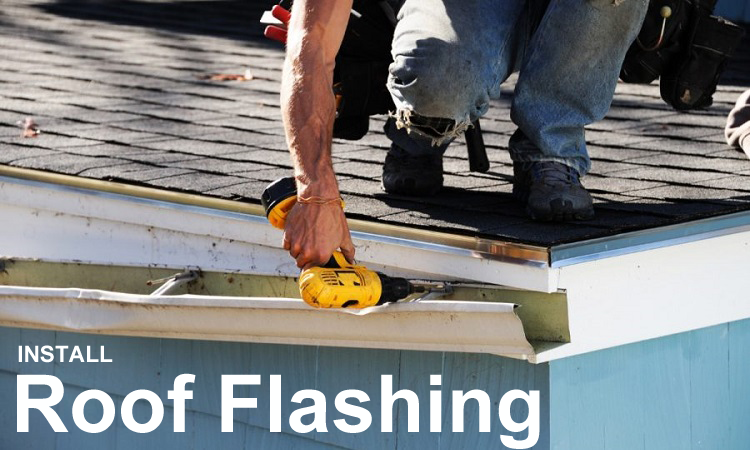 Here are a few key points mentioned to enlighten the importance of successfully installed flashing. Modern roofs can last for at least 15 to 20 years. But there are still many weak points on a roof which are prone to leaking. Since your roof protects you from external elements like rain, snow, and sunlight. It is important to take care of its weak points to prevent any roof leakage. It is recommended to get the flashing installed properly with the help of experts to ensure that it actually provides strength to the weak points of the roof. The most vulnerable parts of a roof are joints where two slopes meet each other. If you have such kind of roof, it is highly likely that you are going to notice the water dripping inside your home through the joint or penetration. It is required to get the flashing installed properly to prevent any sort of water damage and provide enough strength to the critical parts of the roof. Skylights need to be tightly sealed with the roof to prevent any holes or gaps in between them. Flashing serves the purpose of holding skylight firmly from each of its sides. So, if you end up underestimating the importance of flashing installation, it might cause to hinder the performance and function of a skylight as well. It would then result in a lot of significant damages. Special flashing is required for the chimneys to redirect the water away from them. You need to hire any of the professional Ann Arbor roofing contractors who are able to install multiple pieces of flashing around each side of the chimney skillfully. A little flaw in the installation process can lead to the accumulation of water and ice around the chimneys. Mold growth is one of the biggest culprits which can cause the disaster to your roof. It is important to prevent the mold growth through proper installation of your flashing to be able to live peacefully inside the home. However, if you end up ignoring the presence of mold anyhow, the walls and ceiling of your home would get contaminated. It doesn’t only cause to lose the money but also the valuable property and lives. After knowing the issues caused by improper flashing installation, it is important to pay heed to the advice of experts regarding the maintenance of roof flashing. If you are not sure about your skills, it is recommended to take help from the professionals. Since they are trained to do the job, they would also help detect the condition of flashing to carry out necessary repairs and replacements on time.